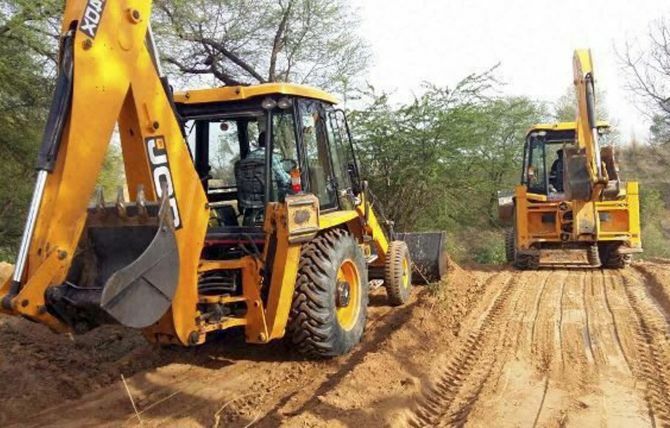 The Punjab Cabinet on Tuesday decided to denotify the land acquired for the Sutlej-Yamuna Link canal project with immediate effect and return it to its owners free of charge. “The Punjab Cabinet today in public interest has decided that the land acquired for the SYL canal project is free from all encumbrances and stands denotified with immediate effect,” the chief minister’s advisor on national affairs and media Harcharan Bains said. The land shall forthwith vest with the original owners, their lineal descendants or legal representatives, “free-of- cost”, he said. The meeting was presided over by Chief Minister Parkash Singh Badal. Necessary orders are being issued to bring the decision in effect immediately, Bains added. Meanwhile, the ruling Shiromani Akali Dal on Tuesday declared that it would not allow the construction of the Sutlej Yamuna Link canal and said Punjab has not a drop of water to spare for any other state. The core committee of the SAD at a meeting declared its firm resolve not to allow the construction of the Sutlej Yamuna Link canal as that will deprive Punjab of its legitimate claim on the waters of the rivers that flow through it. “Punjab neither has a drop a water to spare for any other state, nor is there any legal or constitutional provision by which it can be deprived of its right over the waters of rivers that flow through it, nor will even a single drop of water belonging to Punjab be allowed to be taken out of the state,” the SAD observed. The core committee of SAD asked the President to ignore the advice of the Supreme Court as it did not answer any of the issues raised by him. “We stand by the Constitution and the Constitution guarantees us absolute and exclusive right over the waters of rivers that flow through it. If Punjab cannot get water from Ravi and Beas, will it get it from Brahmaputra and Tung Bhadra?” felt the core committee members. A resolution passed at the core committee meeting on Tuesday said, “The SYL is neither necessary, nor feasible, nor is there a single drop of spare water available to flow through it, nor will it be allowed to be built. “Punjab itself faces the horrific prospect of turning into a desert because of acute water scarcity and shocking pace at which the sub soil water level is falling. “Besides, no state through which a river does not flow can be given water forcibly,” said the resolution. Giving details of the core committee meeting proceedings, party’s general secretary and chief Spokesperson Harcharan Bains said that the party is concerned and surprised over the advice of the Supreme Court to the President “which completely overlooks the purpose for which the President had sought the apex court’s opinion”.